Since the events crucial to plant photosynthesis are now known in molecular detail, this process is no longer nature's secret, but can for the first time be mimicked by technology. Broad in its scope, this book spans the basics of biological photosynthesis right up to the current approaches for its technical exploitation, making it the most complete resource on artificial photosynthesis ever published. The contents draw on the expertise of the Australian Artificial Photosynthesis Network, currently the world's largest coordinated research effort to develop effective photosynthesis technology. This is further backed by expert contributions from around the globe, providing an authoritative overview of current research worldwide. Tony Collings studied chemical engineering at the University of New South Wales and anthropology at the University of Sydney (Australia). He holds a PhD and DIC degree from London University (UK). Following postdoctoral work at the California Institute of Technology in Pasadena (USA) he joined the Commonwealth Scientific and Industrial Research Organization (CSIRO) Industrial Physics division in Lindfield (Australia), where his research interests have been in the physics of liquids, ultrasonics and biophysics. He led a research team that won the Australian Institute of Engineers Research Excellence Award. He is the convener of the Australian Artificial Photosynthesis Network. Christa Critchley studied botany, biochemistry and genetics at the University of Cologne and completed her PhD at the Heinrich Heine University in Düsseldorf (Germany). Following postdoctoral work at CSIRO in Sydney, the Australian National University in Canberra and at the University of Illinois at Urbana-Champaign (USA) she was awarded a National Research Fellowship at the Australian National University. She then joined the University of Queensland where she is now Professor of Botany and the Deputy Director of the UQ Graduate School. Her research interests are the biophysics and biochemistry of plant photosystem II and biomembranes. She is a founding member of the Australian Artificial Photosynthesis Network. "The book is very readable and is a useful addition to the literature." "...the book could serve as an introduction to the broad and heterogeneous field of artificial photosynthesis, and for presenting a wider perspective to researchers who are active in any of the sub-areas." 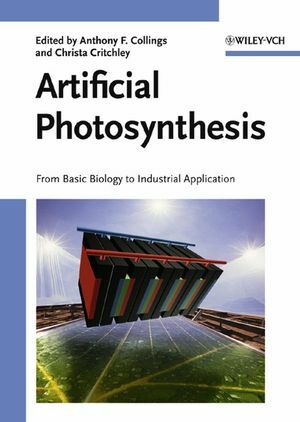 "This book would prove a worthwhile resource to anyone concerned with artificial photosynthesis." "Numerous tables, charts and figures throughout this volume provide excellent illustrative material to support the detailed information presented in text. In conclusion, this book outlines the first steps of research in service to energy transformation. This book can be used as a textbook in teaching course as well as in research jobs of this field."